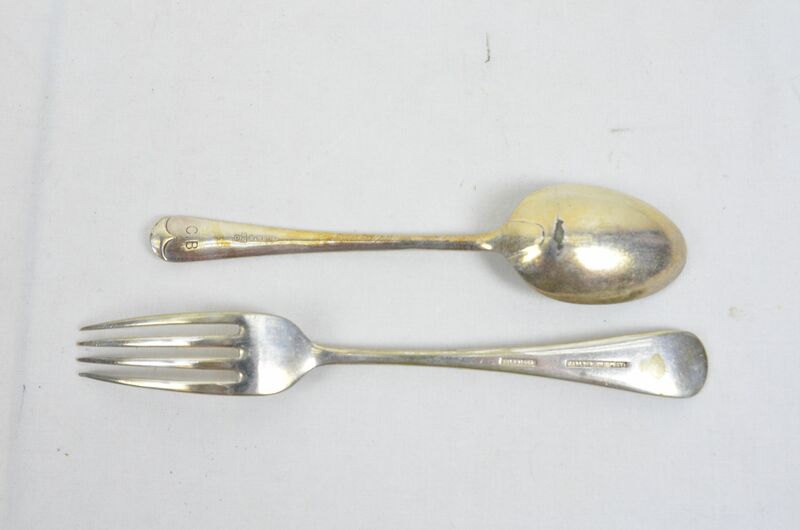 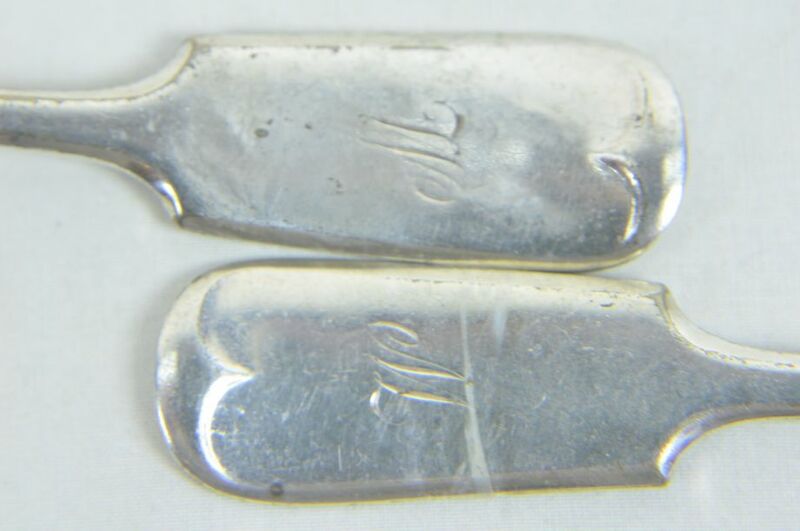 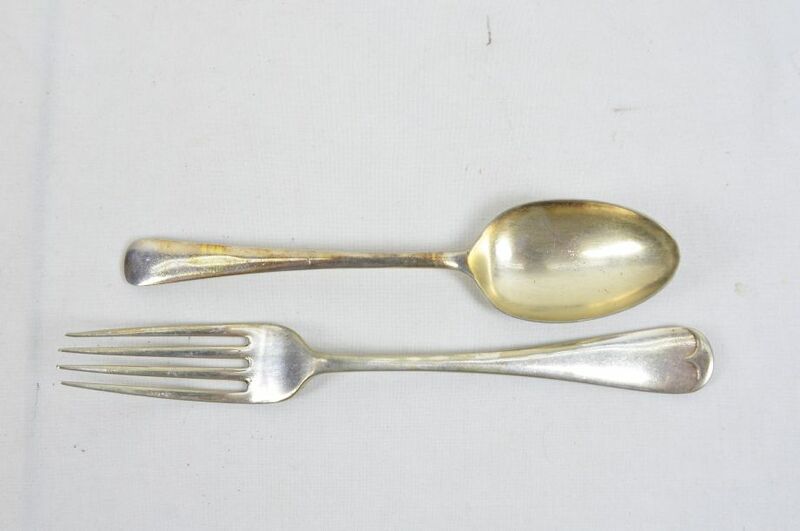 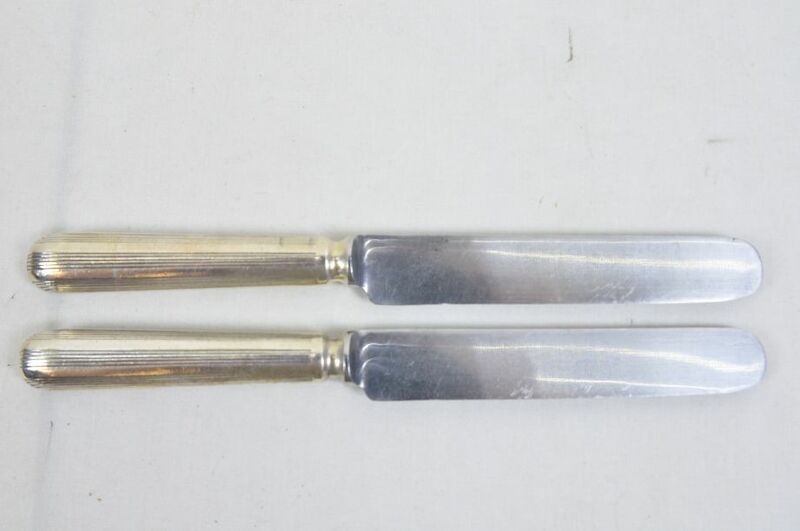 Two stainless steel spoons marked EPNS, 23.5cm. 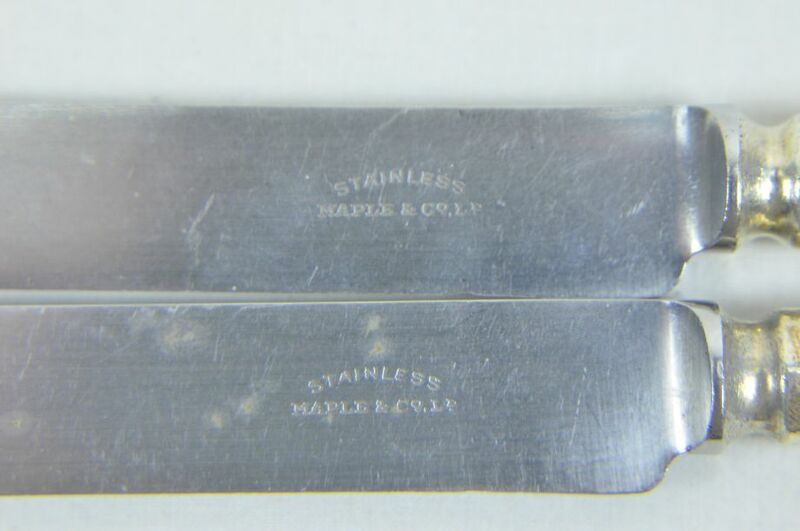 Two stainless steel knives marked Stainless Maple and Co. Ltd, 27.5cm. 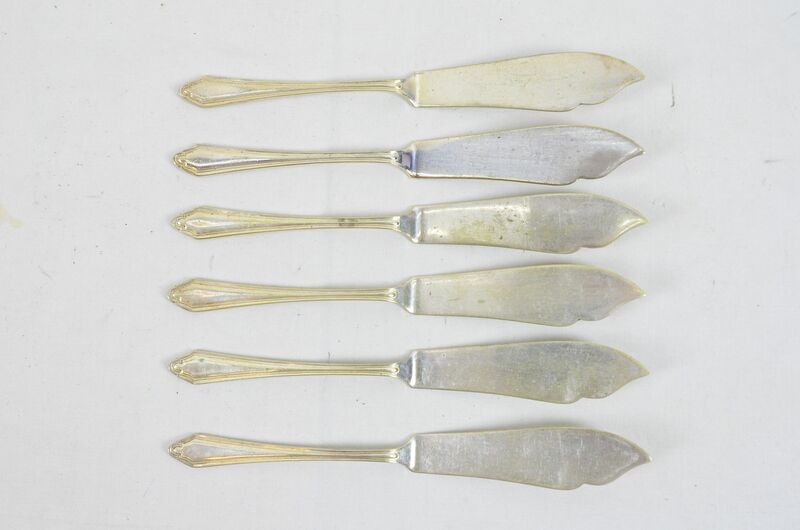 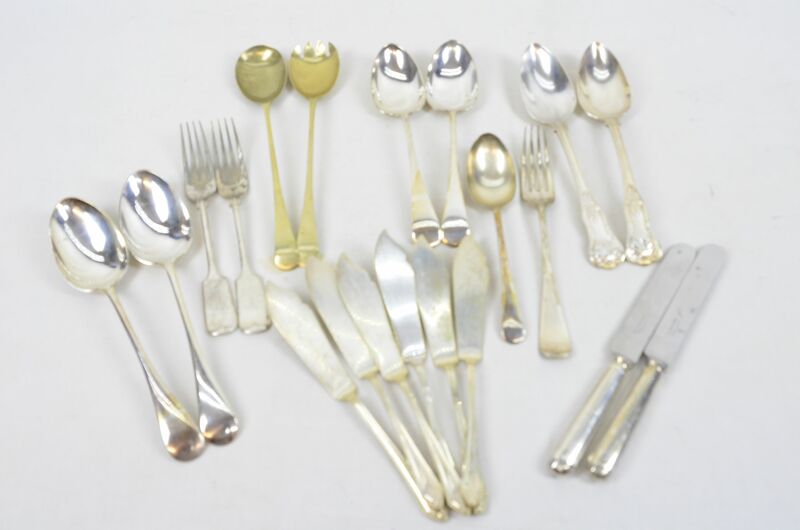 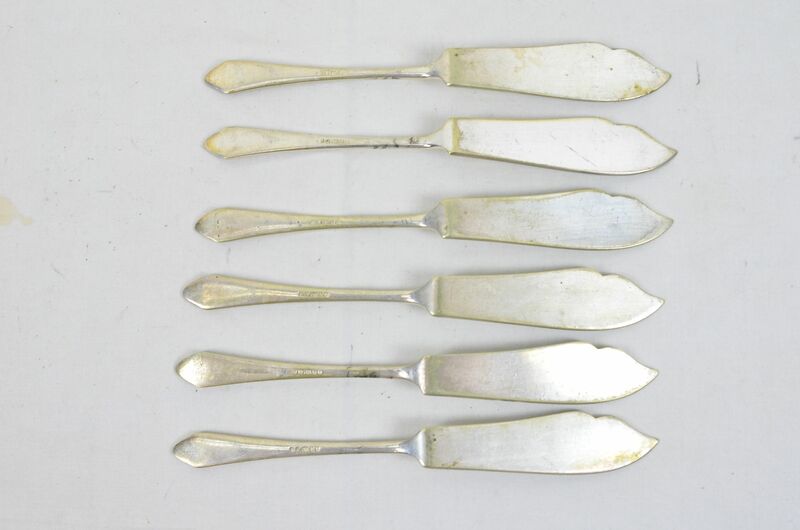 Six cake knives with hallmarks, 20.5cm. 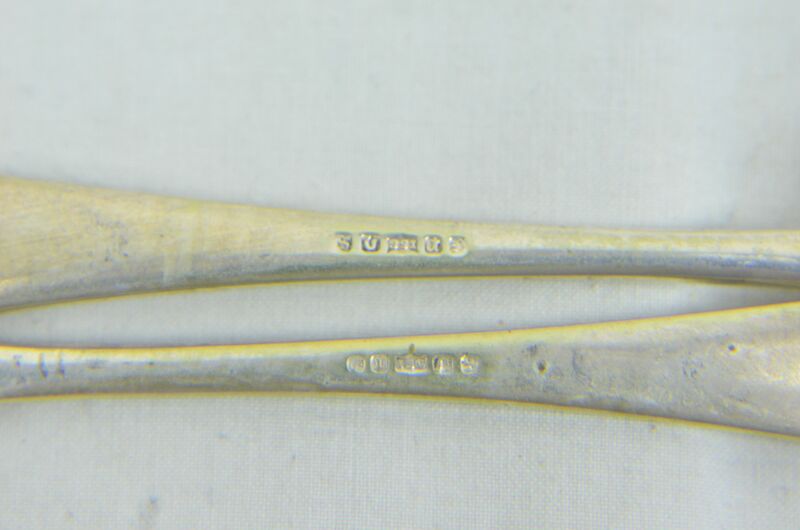 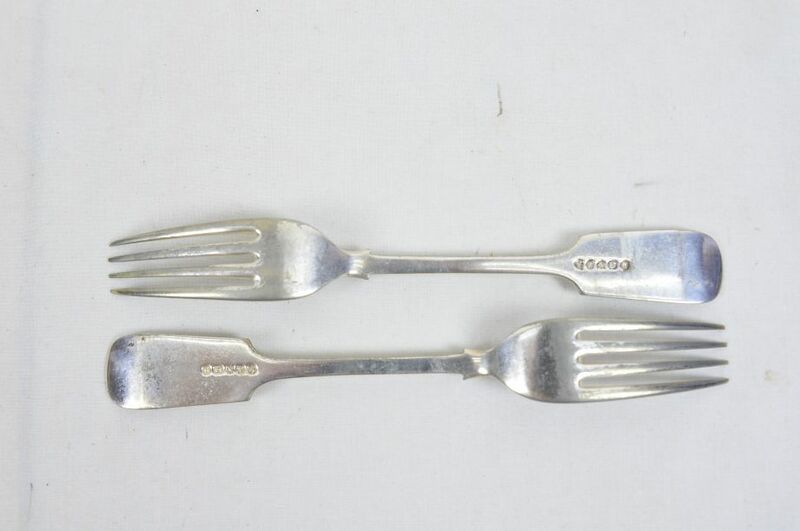 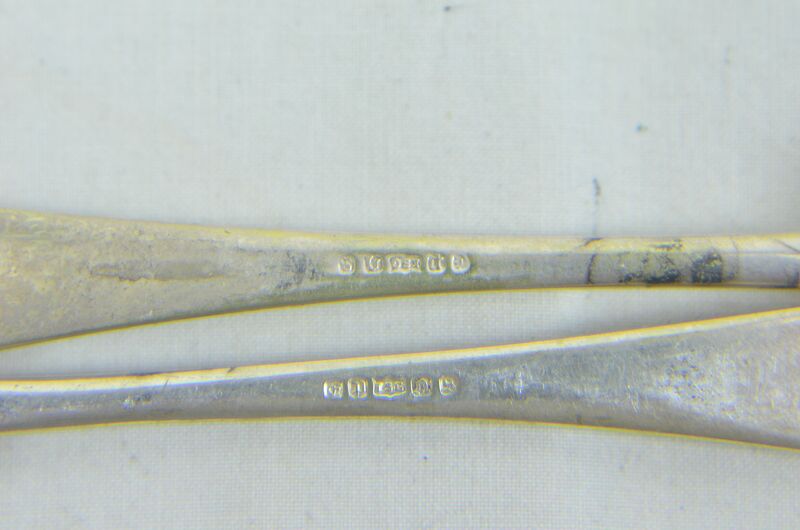 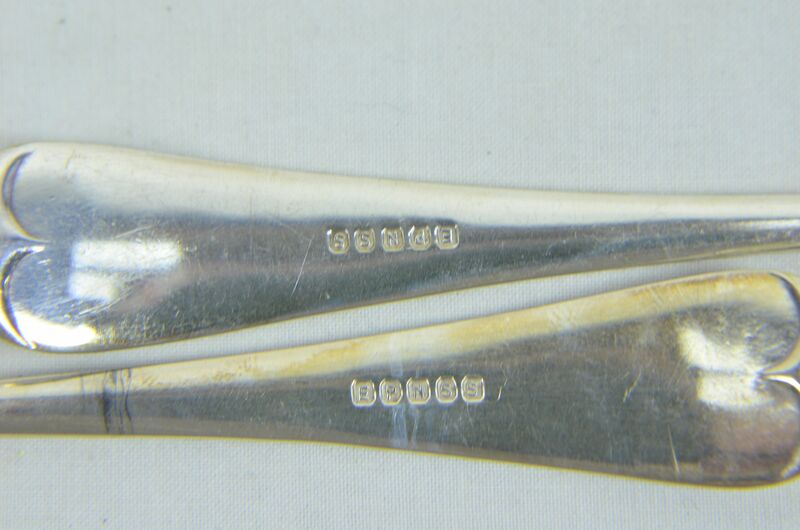 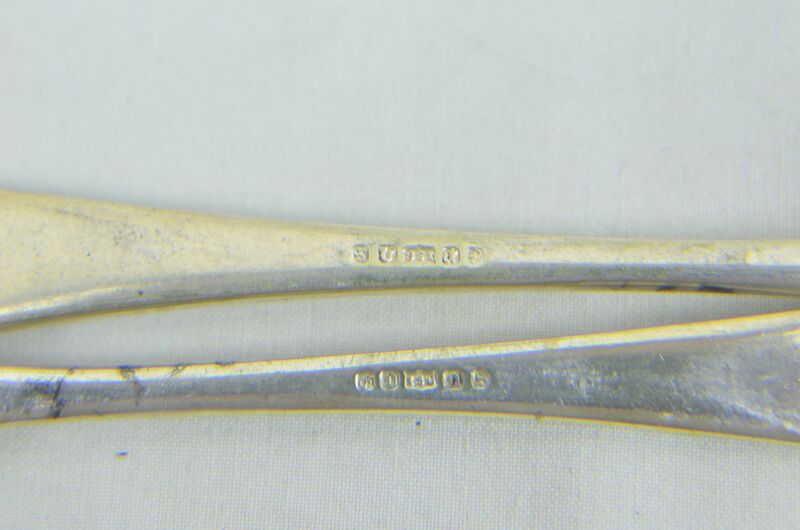 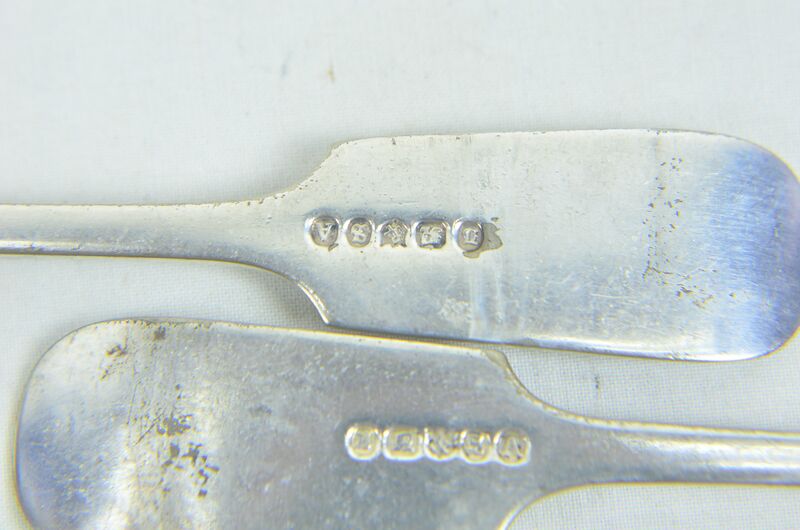 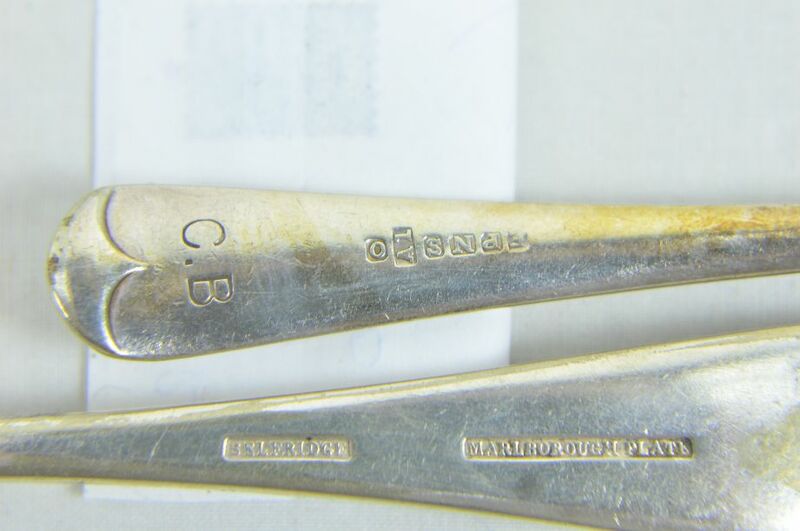 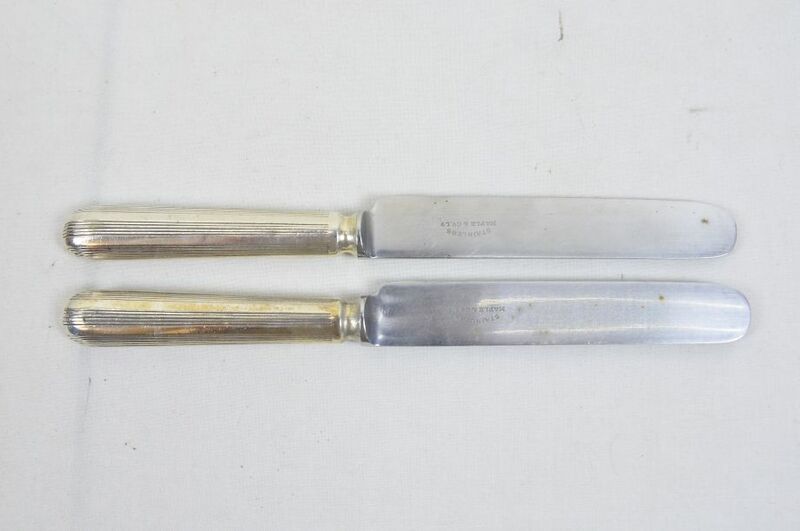 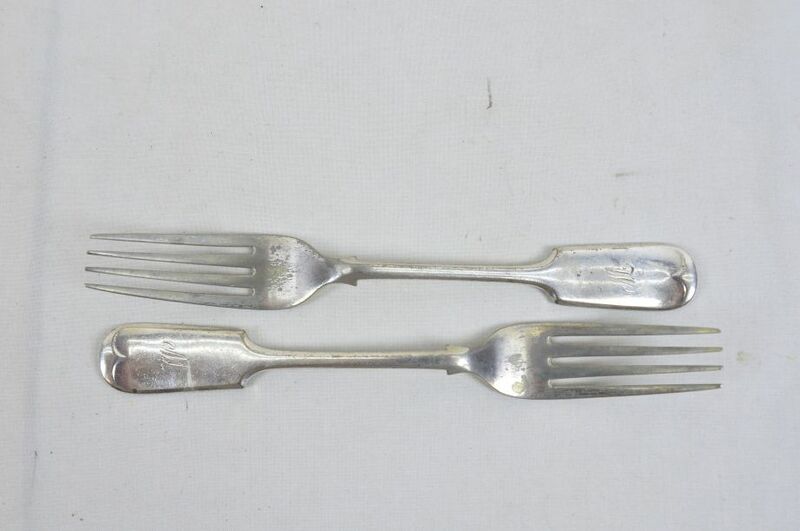 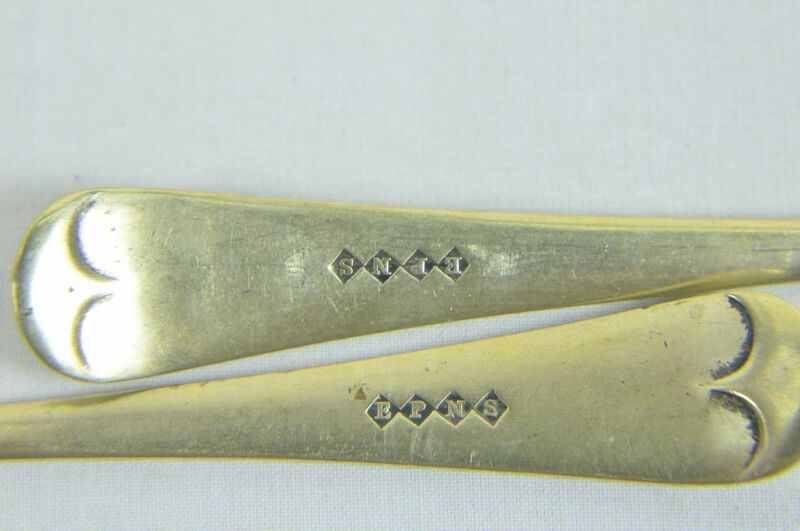 Two forks with hallmarks and monogram W, 19.5cm. Two spoons with hallmark, 20.5cm. 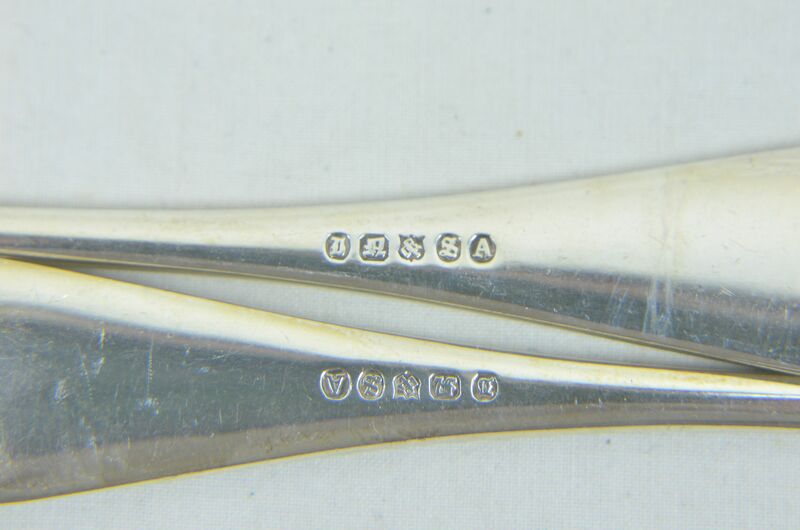 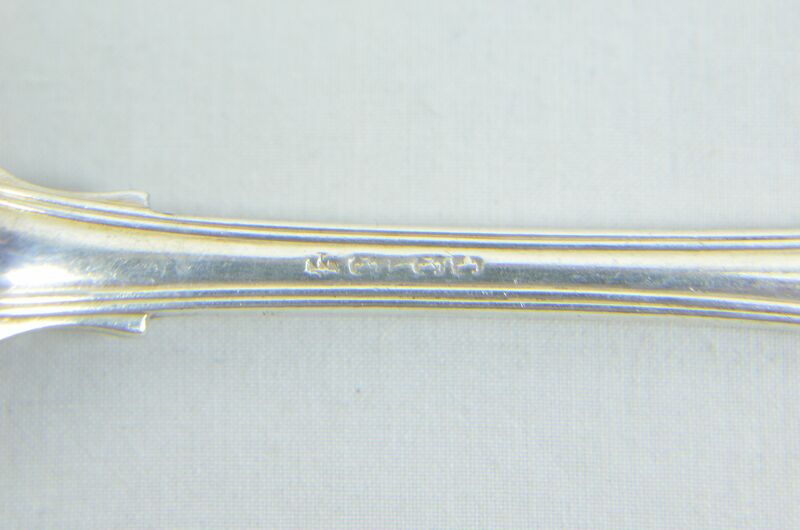 One small spoon with hallmark and monogram CB, 18cm. One fork with hallmark, 20.5cm. 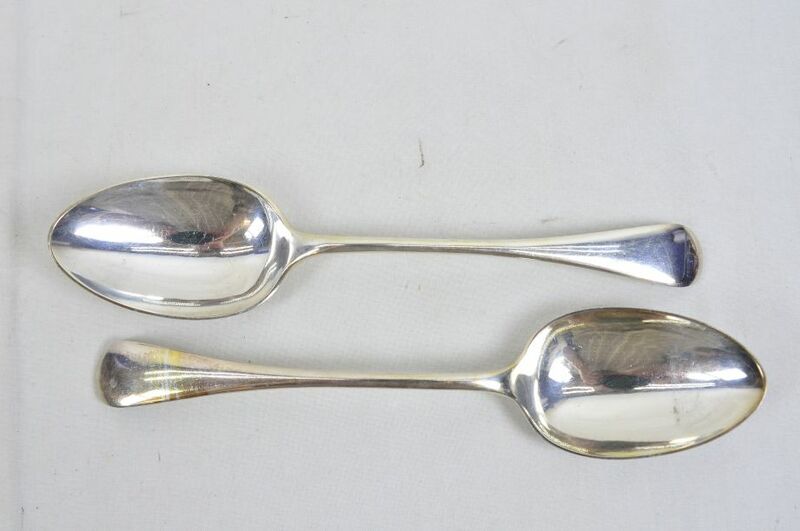 Two large spoons with hallmark, 22cm. 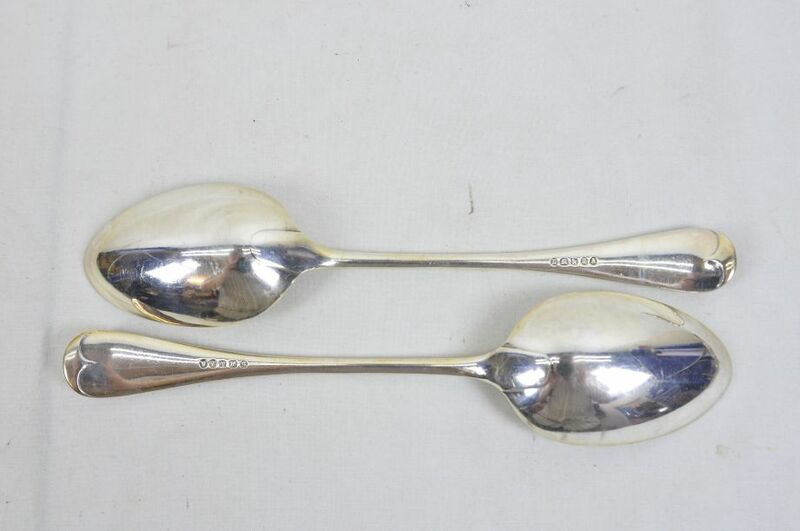 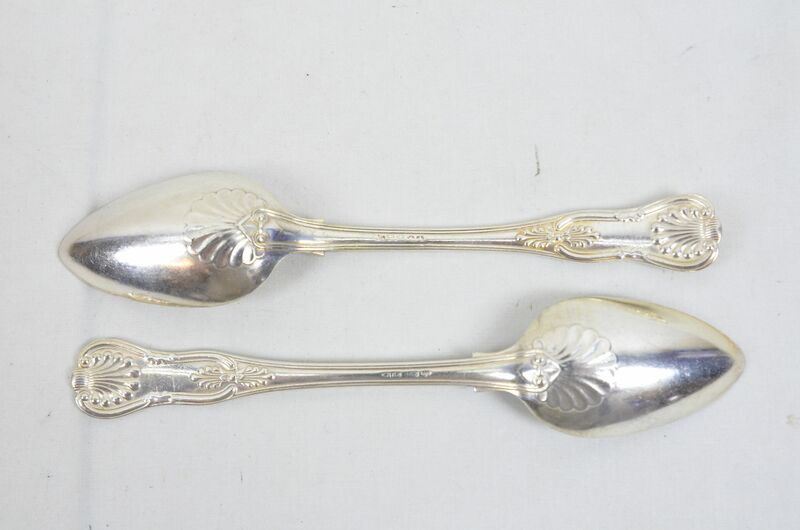 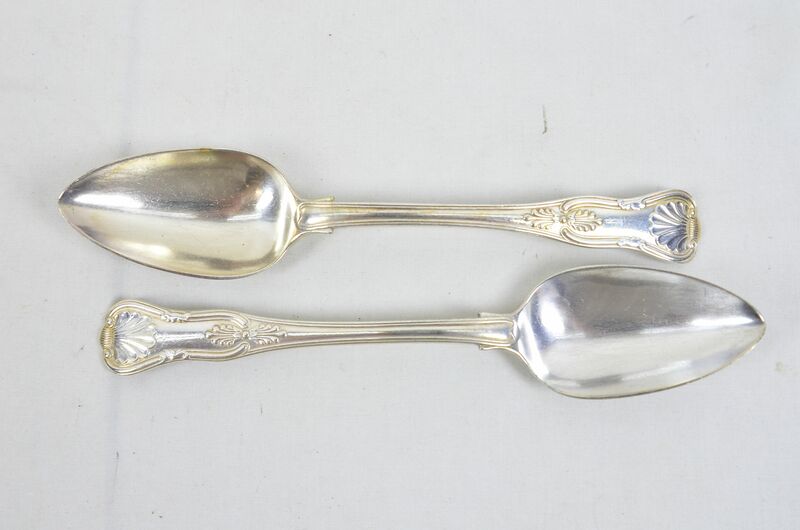 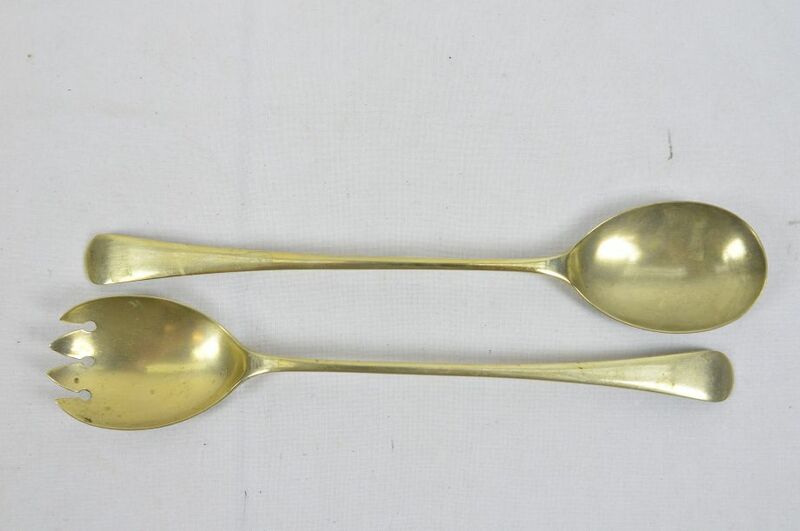 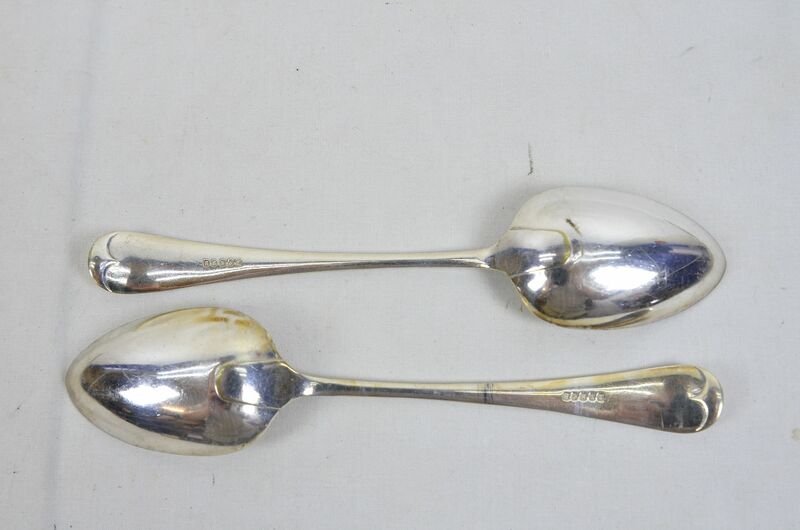 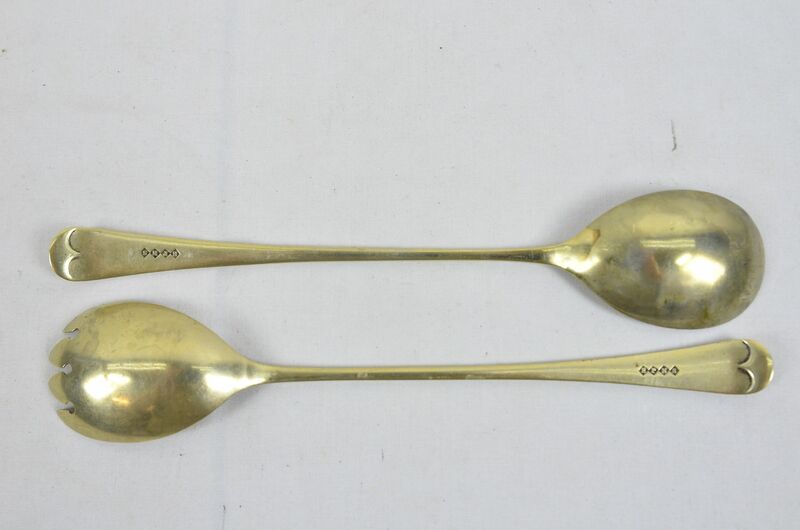 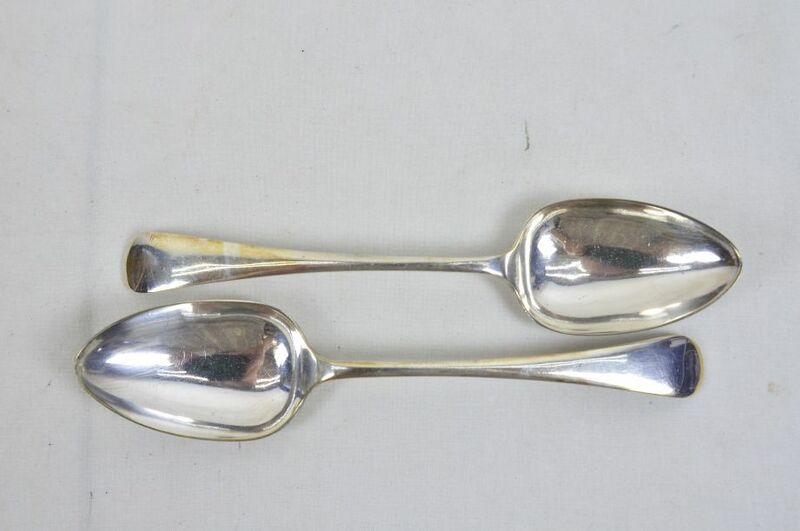 Two serving spoons with hallmark, 23cm.